Climb the staircase to success! 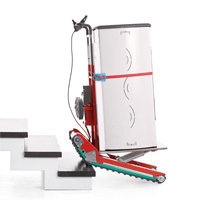 With the Domino Stair Climbing Robot, you can conquer any type of staircase or surface. Thanks to its clever engineering and special crawler tracks, it’s the leader of innovation and one of the most efficient stair climbers on the market. With Domino, you can go anywhere! Travel over grass, gravel, dirt and many other flooring surfaces. 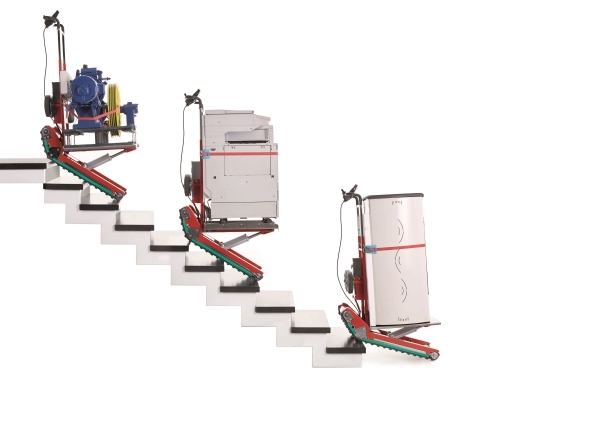 Move up and down staircases and safely complete tasks with high efficiency and productivity. 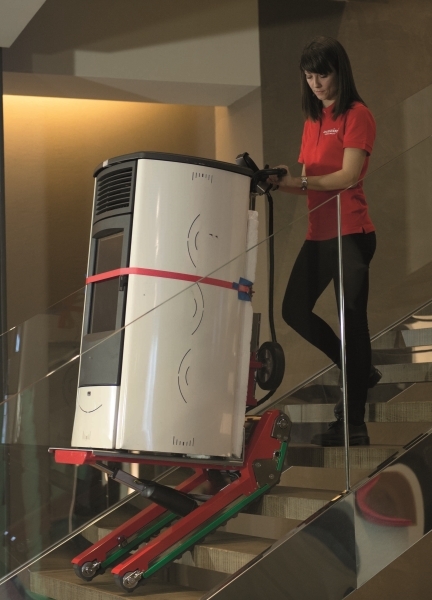 Gone are manual handling lifting risks and potential employee injuries – replaced by a machine that saves in time and cost and it increases employee wellbeing. The Domino ensures its users feel relaxed and in control. Its cutting-edge technology allows it to be easy-to use and completely intuitive. The load always remains balanced and there is no fatigue for the user, as they do not have to strain or overexert themselves. The unit is operated through a proportional joystick and can be put to use with one touch. Built with a robust design, the Domino features a powerful double electric motor, that guarantees heavy loads can be moved around tight corridors, and independent crawler tracks, that allows for full 360-degree rotation. Its electric actuator adjusts to keep the load angle upright and balanced at all times. 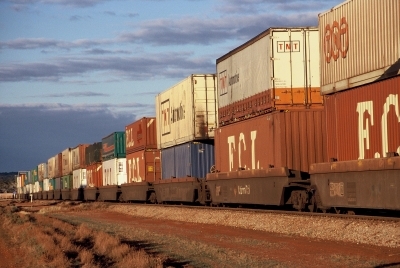 This comfortable movement allows goods to be transported indoors and outdoors, as well as over irregular steps. You no longer are restricted by height, type of staircase construction or number of steps! The unit can be equipped with a range of optional accessories to make it perfectly meet specific requirements. Relieve stress in your workplace by easily transporting loads with the Domino Stair Climbing Robot. Lift more than your game!